man man japanese restaurant, keong saik. - noms. noms. japanese singapore man man japanese restaurant, keong saik. man man japanese restaurant, keong saik. happened to be free, so popped by for a quick lunch. i arrived at one-thirty, way after the lunch crowd had dissipated, so i didn't even have to wait for a seat. 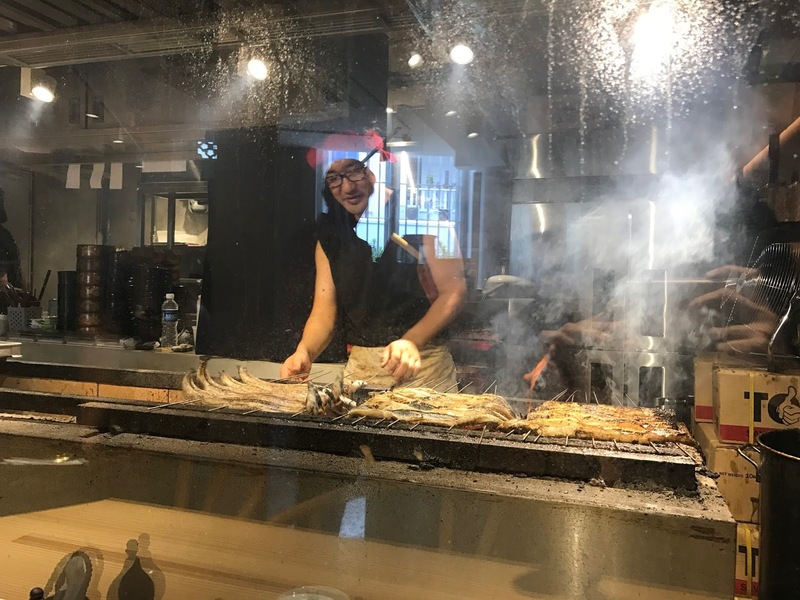 got a counter seat, right in front of a huge glass window where they were grilling unagi on the spot. i was transfixed. the menu was simple, made up of just different variations of unagi bowls. i was intending to order the kimodon ($24.80), which came with grilled unagi liver, unagi and tamagoyaki, but was told that they were out of unagi liver. i then settled for the hitsumabushi ($26.80) instead, even though i'm not really a fan of the hitsumabushi style- i feel it dilutes the taste, and doesn't really add anything. decided to try it anyway since it was just a dollar or so more than the regular unagi don. my food came really quickly, and it was good. i loved the slight char of the grilled unagi, which made the exterior slightly crisp, while the interior was still tender. at my first bite i found it almost shockingly salty, but when paired with the rice, it made sense. and speaking of the rice- it was pearly and awesome and just like all japanese rice should be. i intended to ask for less rice, but i forgot, and was glad i forgot, because i wiped the entire bowl clean without even using any of the extra sauces provided on the table. 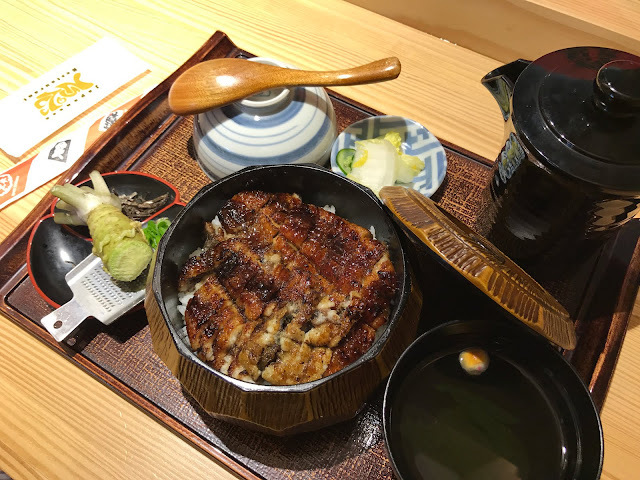 the hitsumabushi broth was alright, but i wouldn't bother with it again because the star is ultimately unagi. i really liked that they provided fresh wasabi to grate. 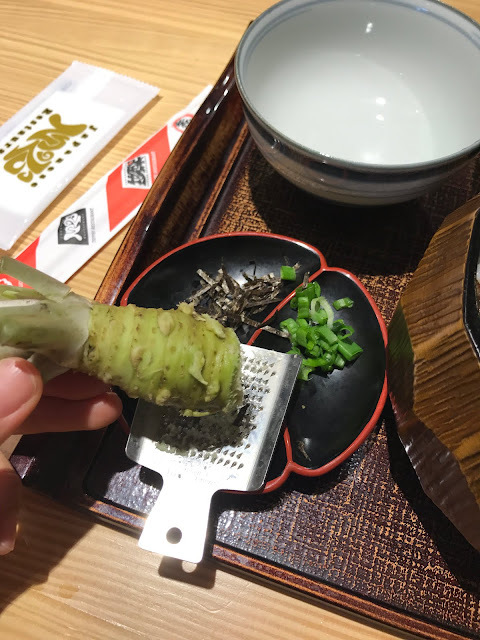 i loved the kick of the fresh wasabi paired with the salty-sweet unagi- so so good. service was slightly harried. they didn't realise that i hadn't been served tea until near the end of my meal. i didn't know it was provided free until the waitress came over, all apologetic, with a cup of tea. they were nice about it so i didn't mind. bottomline: the unagi was awesome. i'll come back to try the kimodon. reading menus is one of my hobbies. meat smith, telok ayer street. pimp my salad, pasarbella suntec. nine thirty by awfully chocolate, east coast road. ô comptoir (formerly le comptoir), circular road. healthy soba iki 粋, raffles place. håakon superfoods and juice, 313 somerset. the grill knife (the soup spoon union), raffles city. sacha & sons, mandarin gallery, 2.0.
the lokal, neil road, 3.0.
the living café, bukit timah. the lokal, neil road, 2.0.
la ristrettos, novena medical centre.